New Jersey's #1 ranked Zoo. A trek to Africa, right in Essex County. A place in Essex to live the sailor's dream! 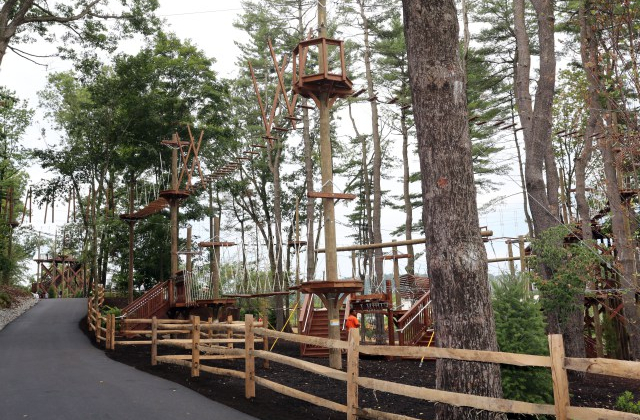 Experience the beauty of the South Mountain Reservation from the Treetops. The South Mountain Recreation Complex is nestled along Northfield Avenue and Cherry Lane in West Orange. The complex features a variety of recreation opportunities including Turtle Back Zoo, Codey Arena, MiniGolf Safari, the children’s Regatta Playground, Paddleboating, a 1.7 mile walkway, and the Clipper Pavilion picnic shelter. The Arena is adjacent to the South Mountain Reservation, a 2,000 acre natural reserve which offers open space, picnic areas, barbecue sites, hiking trails, paddle boats and more. 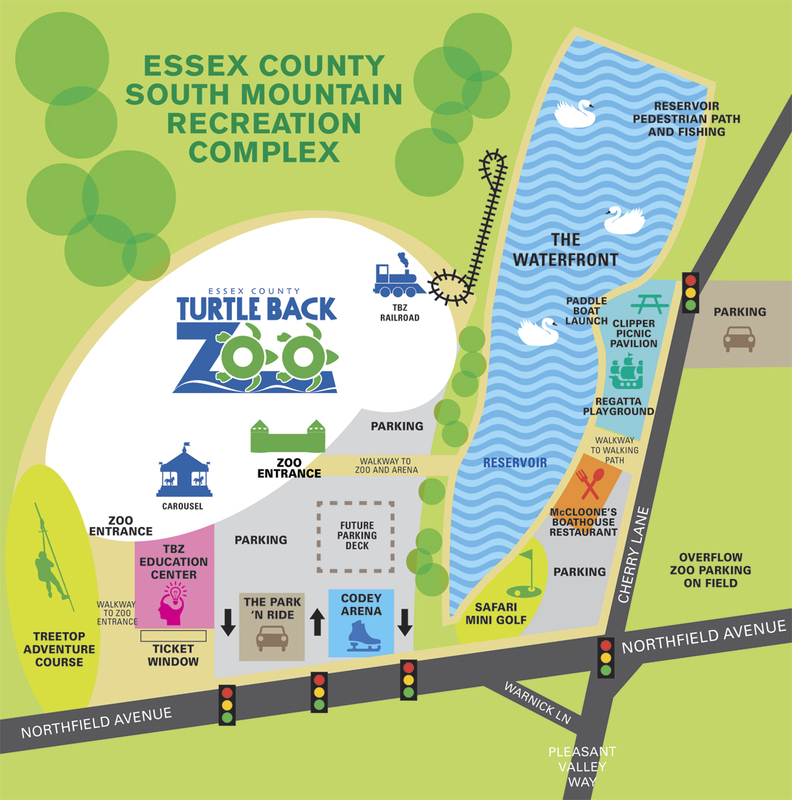 Located in the recreation complex behind the Arena are Essex County’s Turtle Back Zoo, Treetop Adventure Course, Safari MiniGolf and the new Educational Center, a perfect place for a fun-filled time for the entire family. The ice skating arena is open to the public for skating, group skating lessons, learn to speedskate lessons, private ice skating parties, along with figure skating sessions and ice hockey camps and clinics. Essex County Codey Arena is host to NJ High School ice hockey games, the annual Essex County Winter Holiday Hockey Tournament, the Essex Skating Club Winter Ice Escapade, and many figure skating competitions. Some non-ice events the arena has hosted include the Essex County High School Wrestling Tournament, ESPN Friday Night Fights, the Wounded Warrior/NFL Alumni Football game, the ATU National Taekwondo Championships and many local high school graduations. 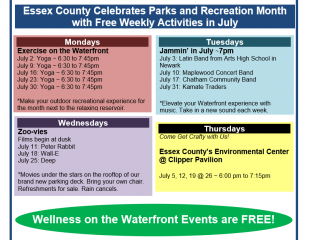 Join us for Parks and Recreation Month!